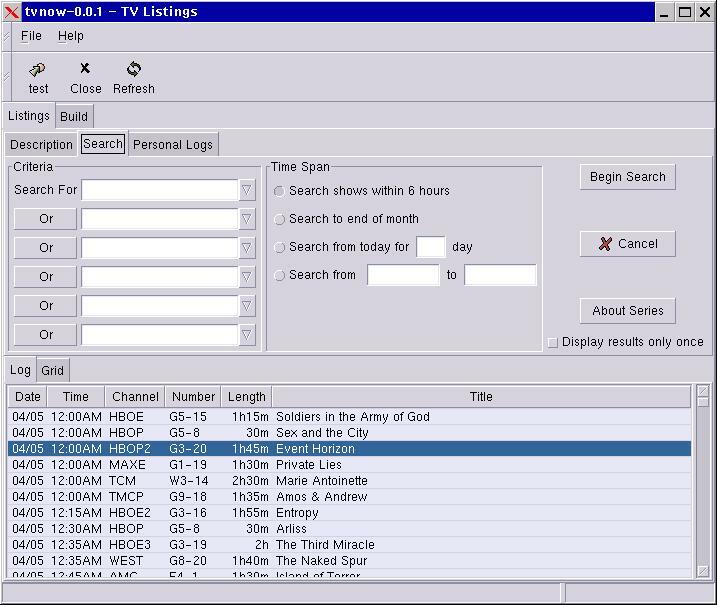 Sadly, the supplier of the TVNow listings, Tony Bray, passed away on October 4 2007. I'm not really associated with Tony, except that I talked a few times. 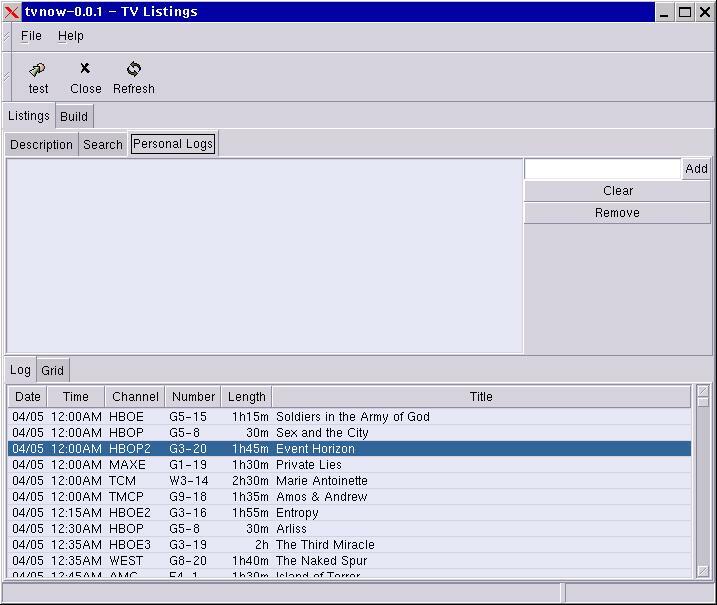 My Linux TVNow program was only made to read the TVNow listings. GREENSBORO - Mr. Sidney "Tony" Preston Bray, the author and owner of this web site and many other web sites at age 60, passed away Thursday, October 4, 2007, in Greensboro, N.C.
A celebration of life was held Sunday, October 7, at Lambeth-Troxler Funeral Chapel. Mr. Bray was born November 5, 1946, in Danville, Virginia, to the late Marvin and Doris Peck. He attended George Washington High School and was awarded a journalism scholarship to Vanderbilt University. Tony was a man of many talents, an entrepreneur, a publisher, inventor, musician and journalist, he was employed by Business Data, Cone, AMP, was the president and owner of TV-Now and Idea Parade, and he volunteered with the Page High School Band. He was a drummer for the bands The Twisters, The Kondors, The Venturas, The Imperials, and The Nomads . He was a loving husband, father and friend, he will be dearly missed. He is predeceased by his parents. Survivors include his wife of 24 years, Charlene Bray; a son, Eric Bray; two daughters, Ashley Bray Tanner and Erin Bray; four grandchildren, Kassie, Kaitlyn, Kyle and Savannah. A special friend and mentor, Pete Langston and his dog, Sprite. In lieu of flowers, please send donations to SPCA Greensboro, 2412 Kivett Drive, Greensboro, NC 27406. 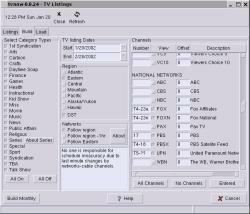 The following is the TVNow for Linux program that I wrote. It is for interest only as it has not been maintained and the listings may not become available again. 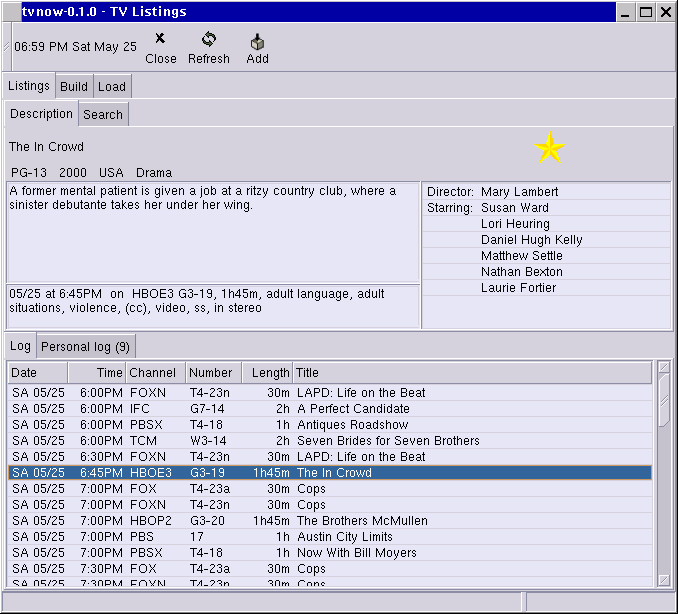 A program that displays the North American satellite and network TV Listings that are provided by the TVNOW company. Free listings for the weekend are available and subscriptions for yearly listing are very low cost. 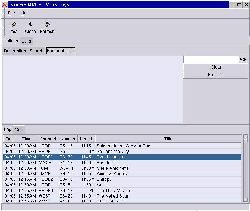 Written in Python 1.5.2 with Glade using the Pygtk interface. All of these things may already be included on your distribution (they are included in the RedHat 7.0 Linux distribution). 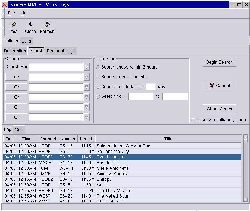 A console-only version is included which is useful for sight-impaired people using the speakup voice synthesizer system. 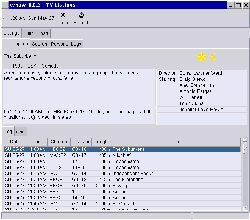 All software questions about 'TVNOW for Linux' should be directed to: Anthony Tekatch. 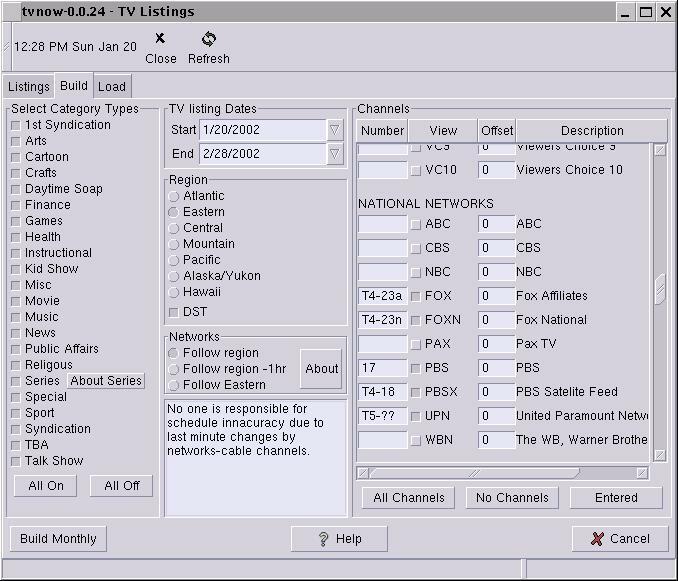 'TVNOW for Linux' is NOT a product of the TVNOW company.